Dates: 11 - 14 March 2014. Location: Moscow, "Sokolniki" Exhibition and Convention Centre, Pavilion 4. 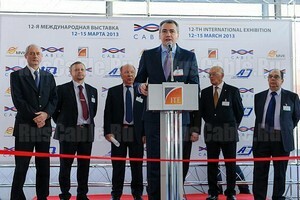 The Cabex is the only exhibition in Russia presenting cables and wires; electrical and wiring accessories; equipment for lining and installation of cables and wires. The participants of the show are acknowledged world leaders, manufacturers and suppliers of cable, wire and accessories for power and electrical engineering; communications and telecommunications; oil and gas and mining industries; engineering and shipbuilding; for railways and construction infrastructure.